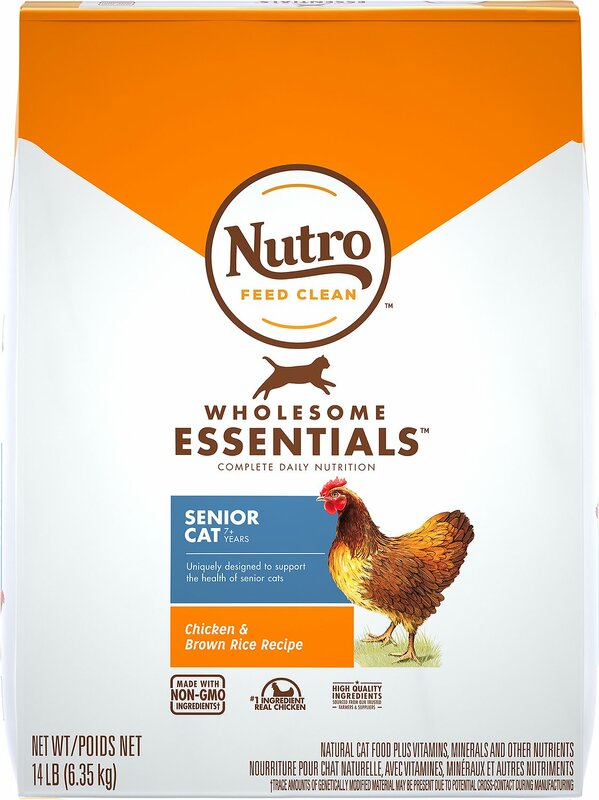 Give your wise kitty the wholesome goodness he craves and thrives on with the Nutro Wholesome Essentials Indoor Senior Farm-Raised Chicken & Brown Rice Recipe Dry Cat Food. 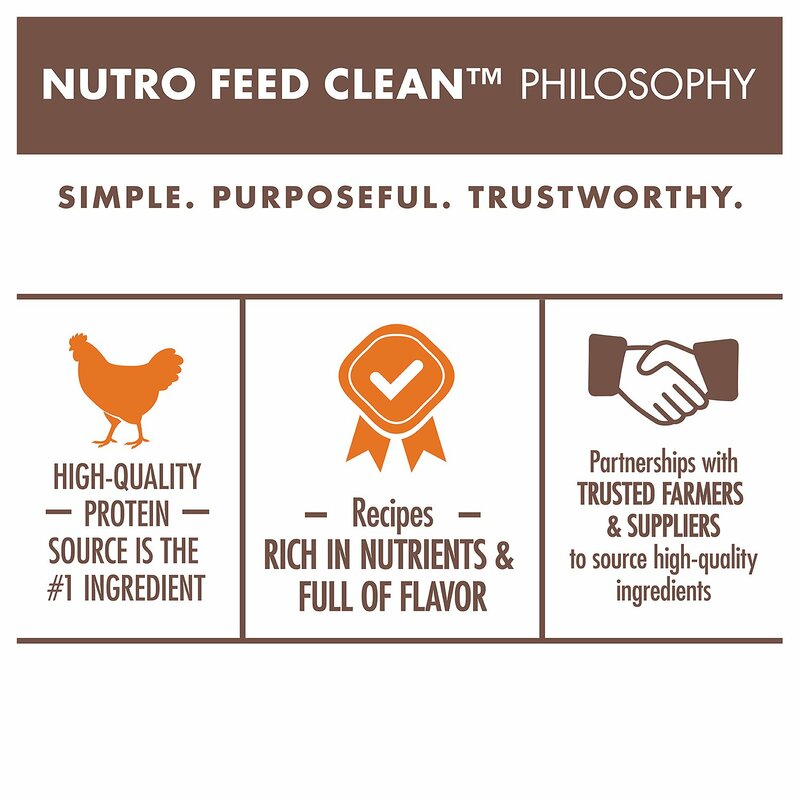 Made with farm-raised chicken as the first ingredient, it’s clean nutrition in every bite with plenty of protein for healthy muscles and flavor to keep him satisfied. 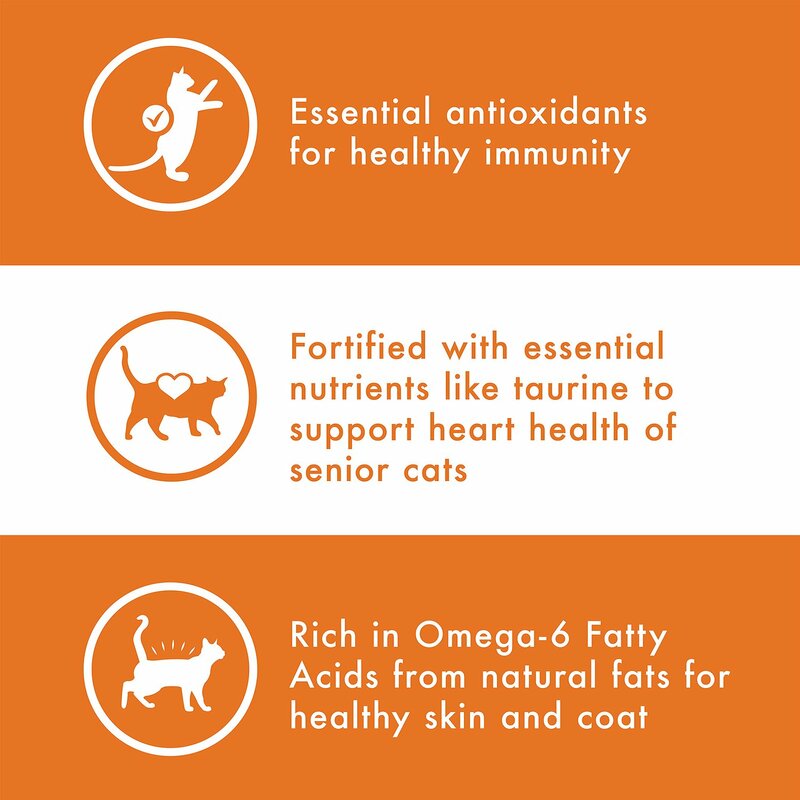 It’s packed with everything your pal needs to look and feel his best, like antioxidants for healthy immunity and essential taurine for heart health in senior cats. Plus, you won’t find any GMOs, or anything artificial, which means you can feel good about pouring it on. Made with farm-raised chicken as the first ingredient for high-quality protein and a unique blend of whole grains. 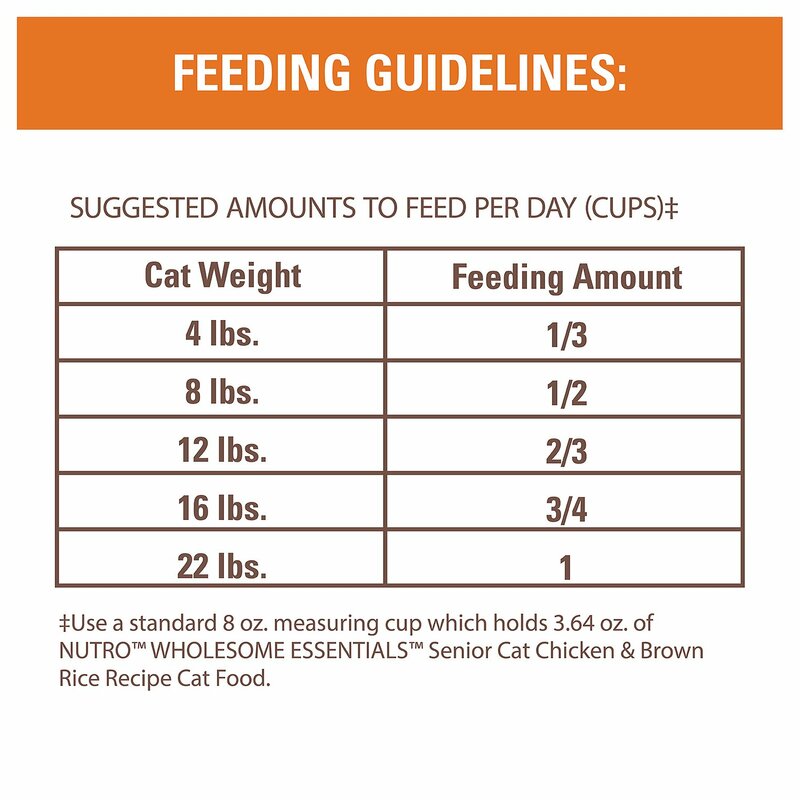 Nutrient-packed and flavor-loaded so it provides a balanced and complete diet for senior cats and satisfies even picky eaters. Fortified with vitamins, minerals and antioxidants for immunity, taurine for a healthy senior heart and natural fiber for healthy digestion. Chicken, Chicken Meal, Pea Protein, Whole Brown Rice, Chicken Fat (Preserved with Mixed Tocopherols), Brewer's Rice, Dehydrated Alfalfa Meal, Potato Protein, Whole Grain Oatmeal, Flaxseed, Dried Plain Beet Pulp, Natural Flavors, Potassium Chloride, Fish Oil (Preserved with Mixed Tocopherols), Soybean Oil (Preserved with Mixed Tocopherols), Choline Chloride, Salt, Dl-Methionine, Taurine, Vitamin E Supplement, Zinc Sulfate, L-Ascorbyl-2-Polyphosphate (Source of Vitamin C), Iron Amino Acid Chelate, Yucca Schidigera Extract, Vitamin B12 Supplement, Copper Amino Acid Chelate, Niacin Supplement, Sodium Selenite, Manganese Amino Acid Chelate, Biotin, Riboflavin Supplement (Vitamin B2), Calcium Pantothenate, Potassium Iodide, Thiamine Mononitrate (Vitamin B1), Vitamin A Supplement, Pyridoxine Hydrochloride (Vitamin B6), Vitamin D3 Supplement, Folic Acid, Rosemary Extract, Decaffeinated Green Tea Extract, Spearmint Extract. I have used this food for my two cats for years. One gets urinary tract infections and the other gets scabby skin from food allergies. They both do well on this food. I have had trouble getting it from regular channels lately, so was delighted to find that Chewy.com had a good supply. Quick shipping, too! Our senior cat absolutely loves this dry food. He’s a 10 year old Persian cat. The kibble is small size which is perfect and it’s so good that the other two cats which are kittens love to eat it too! 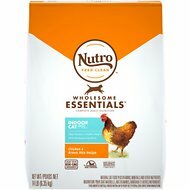 Good size package to handle for me as a senior with arthritis and excellent quality product from Nutro. Very Reasonably priced too. Highly recommend. At last something we all like! My 4 senior cats give this a rousing 4 paws up. Agrees with them all. Crunchiness good for their teeth too! My 18 year old cat has suffered from miliary dermatitis most of her life. She shed copiously, scratched and groomed incessantly, and pulled out her fur. 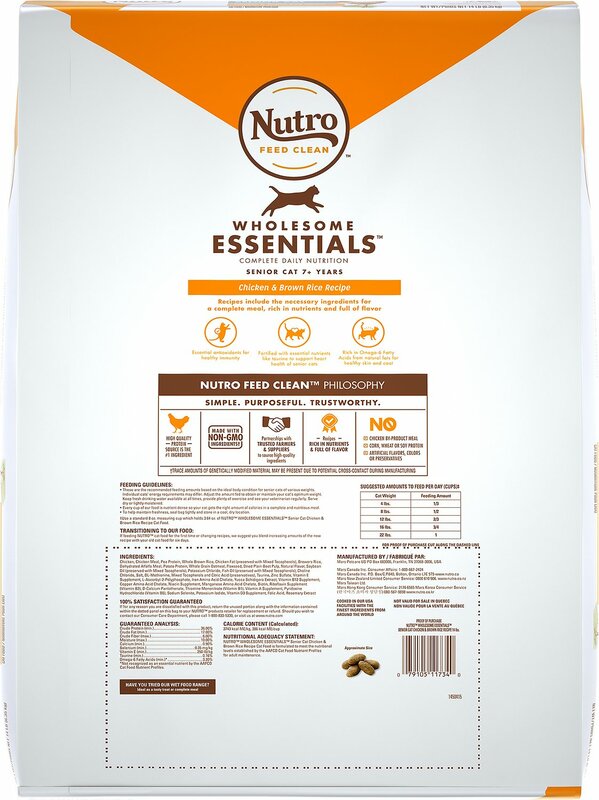 I tried different foods, but Nutro is the only food that relieved her allergy. The scratching stopped and her fur has grown back. Now she has a lovely coat. Thanks, Nutro!! I just adopted a senior cat named Finnegan after my senior cat passed after only having him 4 months. Both kitties loved this food! Neither were big eaters at the shelter but waited by their bowls for this food! Highly recommend. My cats love this food. They have beautiful coats and plenty of energy. Did I mention they come a runnin' when they hear me preparing their bowls? My cats are ten years old but have excellent teeth and gums. I am very pleased with this food. This is about the only dry food Ollie will eat. We went thru many bags of other before we got this one. First feeding he stuck his nose in the bowl and didn’t come up for air till it was all done. We haven’t changed since. I bought the fish one time by mistake and went to the store at 6:00 in the morning for good food. Oliver is not spoiled. 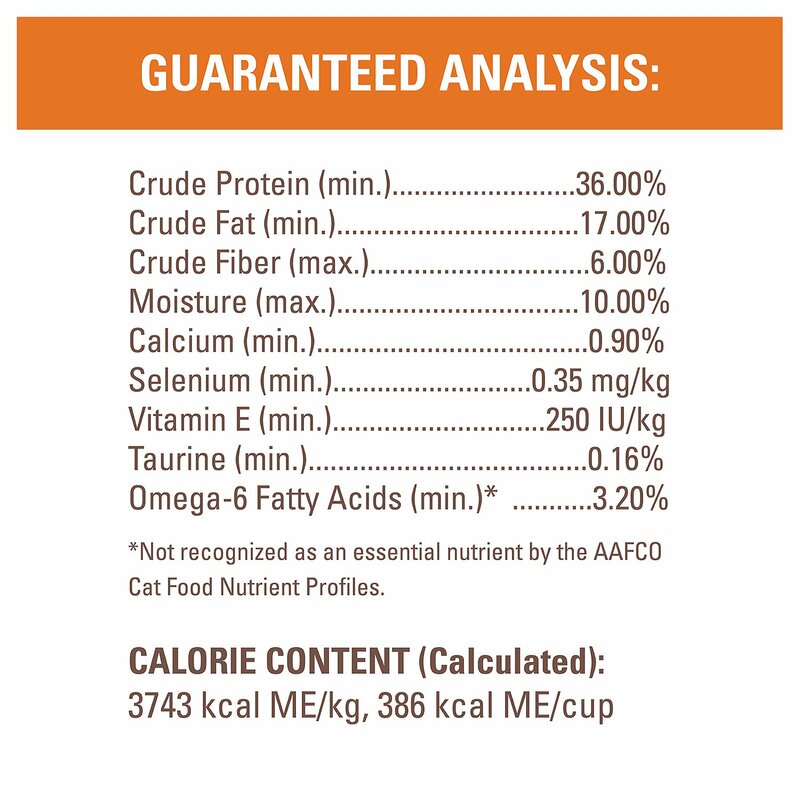 Nutro is a very good dry food at a reasonable price.